I’ve always admired great speakers and been passionate about the art of negotiation. For me, it all started when I was elected to the Canadian House of Commons at the age of 27. Actually, you could argue it started when I graduated from Dalhousie Law. You might even argue it started growing up in Cape Breton, negotiating an extra half hour before bedtime. I was elected to Parliament four times and my experience advocating on behalf of Canadians was an honour and a privilege. There is nothing quite like the opportunity to effect real change. The work I did on the Tobacco Act when I was Canada’s Health Minister is one of the proudest achievements of my career. My success in the public sector was the foundation of my expertise in negotiations. Since then, I’ve been extremely fortunate to do meaningful work as a lawyer, corporate CEO, corporate Director, and public speaker. I’ve learned a thing or two along the way, and now I spend most of my time passing along my knowledge through teaching, consulting and speaking. As a visiting Professor at Ryerson University’s Ted Rogers School of Management, I share 40 years of insight and experience in the field of negotiations. Needless to say, most classes run over the allotted time. My most recent project, Negotiating So Everyone Wins, was inspired by my students and the leaders I interviewed for the Ryerson Negotiation Project. After all, what good is expertise if you never pass it along? Every day, people make deals that matter. Very few of us however, get to benefit from the public scrutiny and analysis that has helped Canada’s leading negotiation experts hone their craft. 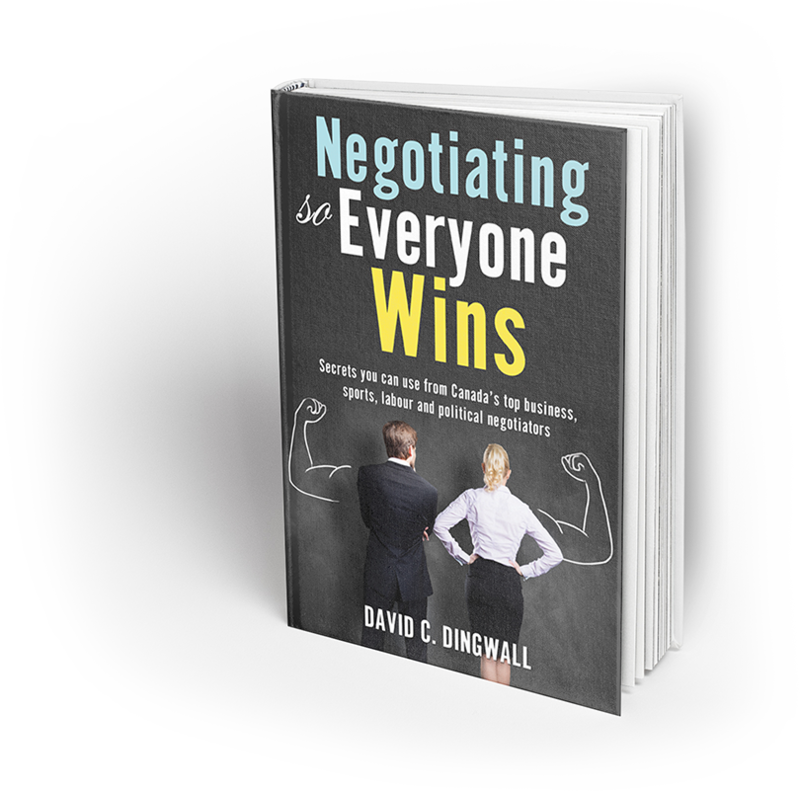 In Negotiating So Everyone Wins, I explain approaches and practices that I use and that twenty of the country’s best deal-makers shared with me through the Ryerson Negotiation Project. These experts include former TD Bank president Ed Clark, NHL Players’ Association head Donald Fehr, former leader of the Canadian Auto Workers Buzz Hargrove, former Ontario Premiers David Peterson and Bob Rae, and former CanWest Global CEO Leonard Asper. I also share behind the scenes insights from my own experience as a politician, CEO, legal counsel and business advisor. In my career, I’ve learned what it takes to build mutually beneficial agreements. My intention for this book was to create an accessible and engaging resource to help everyone learn — from the experts — how to negotiate so everyone wins. picture or drill down into the nuance, detail and subtlety of a deal. Do not hesitate to contact me with questions about the services I offer or for a conversation about how I can help you achieve your strategic objectives. Sign-up for our newsletter and receive updates first! Copyright David C. Dingwall. All Rights Reserved.